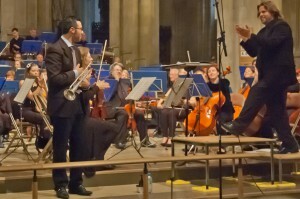 There was something rather special about St Albans Symphony Orchestra’s performance of Gustav Holst’s popular Planets Suite on Saturday night. It felt as though the work could have been written for St Albans Abbey with its huge reverberation time. I can’t think of a performance I have heard in the past where the opening movement, Mars, the Bringer of War, sounded so powerful or where the final movement, Neptune, the Mystic, with its choir of female voices fading into the distance had such a stunning effect. 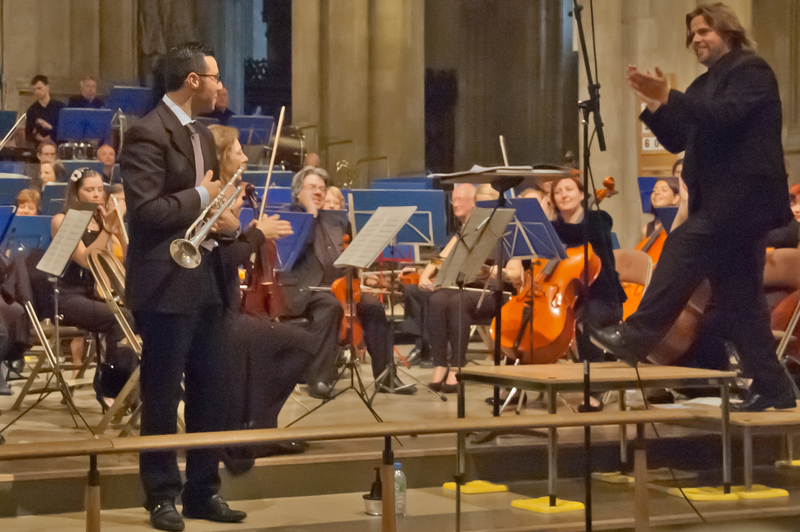 With a huge orchestra of around 80 performers together with the 25‑strong choir the performance was a real tour de force, and one in which conductor Bjorn Bantock took full advantage of the opportunities offered by the building. There were some outstanding performances across the orchestra and the superb work of timpanists Keith Price and Kevin Connaughton together with the members of the percussion section were particular outstanding, as was leader Jenny Wigram with fine violin solos in this and other works during the evening. Both the Planets and the first piece in the concert, Khachaturian’s Spartacus Suite are pieces which many people think they know, but they are works where only small sections are regularly heard. In fact the audience’s lack of knowledge of the Spartacus Suite lead to the embarrassing, yet amusing situation, where the audience applauded in the place not just once but twice. The first came after the opening movement, best known as the theme to The Onedin Line and later, after conductor Bjom Bantock paused for a fraction longer than usual, at the end of the third section when there was still one exciting part to come. In spite of the fact that it is not as well-known as it might be the Spartacus Suite is a powerful and fine piece of music and the members of the orchestra did it full justice. Even less well known is Alexander Arutiunian’s splendid Trumpet Concerto, another work of power and impact. Although written as a continuous piece, the concerto has three distinct sections with a fast start, slow middle and fiery ending. Soloist Giovanni Re took a firm grip on the work from the off and demonstrated considerable virtuosity on an instrument which has been largely ignored for concertos for over 250 years. His performance in the fast section particularly the fine cadenza ‑ sparkled and in the slow centre section there was a great feeling of serenity. With most of the music in the programme exhibiting a feeling of power, Maurice Ravel’s delightful Pavane pour une infante défunte brought a short period of comparative calm wrapped in some first class playing by the members of the orchestra. Overall this was a thoroughly exciting evening with stirring, if slightly unfamiliar music which left a thoroughly happy audience and, 1 suspect, a completely exhausted bunch of musicians.